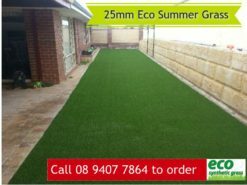 Eco summer fake grass 25mm is our entry level grass. 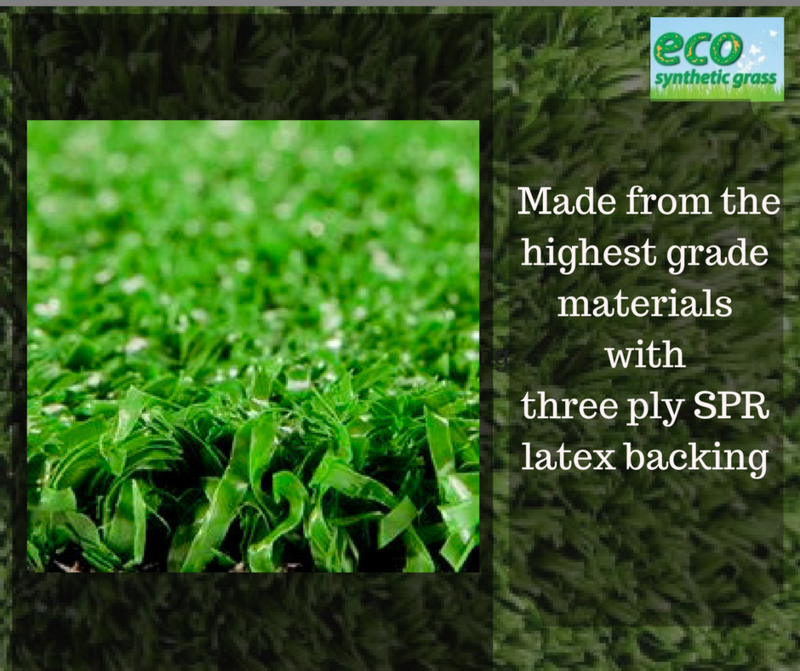 This grass is constructed from the highest grade materials, stitched into a three ply SPR latex backing. The grass yarn of the Eco Summer Fake Grass 25mm product is coloured with realistic four tone olive colours. It is complimented with two-tone brown twisted yarn on the base of the pile. As a result, your grass has both extra volume as well as that more natural look. Get your free quote today. Click here. The Eco Summer Fake Grass (25mm) when installed correctly and given the right maintenance, will give you at least a decade of great looking lawn. See this transformed image below. Transform your lawn. Buy artificial grass, today. Wouldn’t it be lovely if you can also have the same lawn? Worried about the cost? 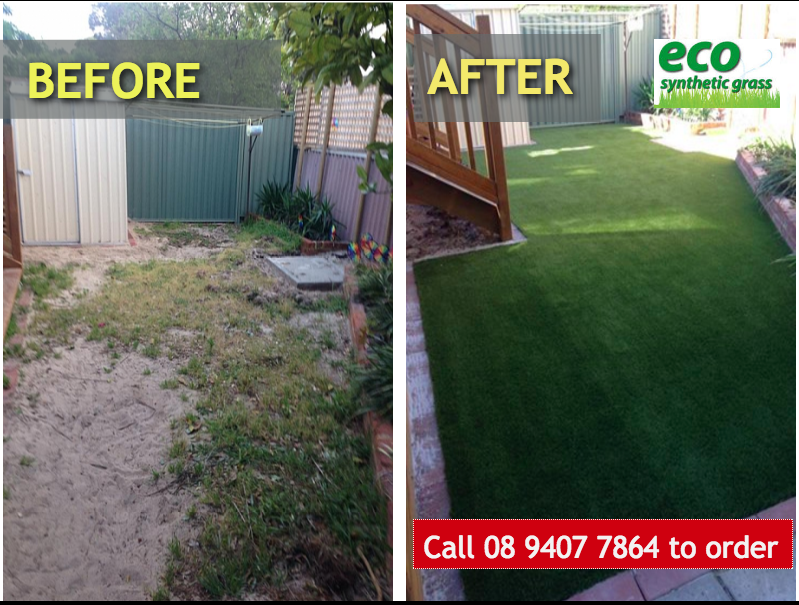 Many who have invested in synthetic lawns have proven it to be a good investment. How? Rather than spending on yearly water costs, fertilisers, pesticides, mowing services, weed removal and other maintenance costs; they can easily relax and just enjoy their beautiful garden. It’s the same wherever we go. So what are your waiting for? Need help with fake grass installation? Wondering how to lay these artificial grass? We can do it for you. Our artificial grass installation costs start at $60m2 depending on ground condition.